EPCOT Announces Garden Rocks Lineup…..
Orlando Attractions Update – Go check your calendar as 13 well known rock & pop bands spanning several decades will perform live onstage in the Garden Rocks Concert Series at the 23rd Epcot International Flower & Garden Festival March 2 through May 30, 2016. This year’s festival expands from 75 to 90 days, adding two additional concert series weekends to the lineup and extending the final weekend of performances to Memorial Day. Blood, Sweat & Tears, Brian Howe, Darlene Love and Georgia Satellites will rock Epcot audiences for the first time. Night Ranger, a fan favorite band that’s played the Epcot International Food & Wine Festival, will make a Flower & Garden Festival debut. The Orchestra starring former members of ELO, who topped charts in the 1970s and ‘80s, will kick off the concert series March 4-6. Guests can dance in their seats each festival weekend to classic tunes at the park’s America Gardens Theatre. 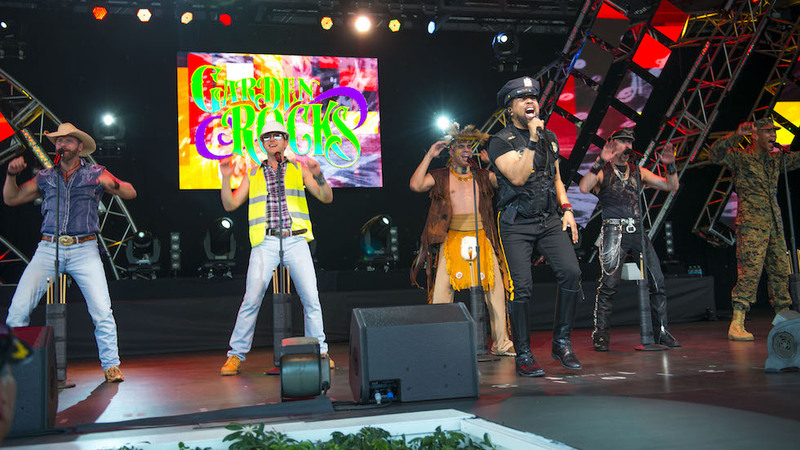 A mix of Flower & Garden Festival fan favorites includes the Village People, who debuted at the festival in 2013. With a nod to the 1960s, Herman’s Hermits starring Peter Noone will rock the house April 1-3. On Memorial Day, The Spinners will close the 90-day festival on a high note, extending their weekend performance to Monday.